NEW: The INRAD W1 headset is in stock and shipping now. Great comfort, great features, great price. Visit the INRAD section of our website for more information. NEW: As announced at the 2018 Dayton Hamvention, INRAD has been named official exclusive desk microphone supplier for FlexRadio. What's New & Special Offers - check out our ever increasing inventory of the latest amateur radio products and accessories. Sale items too! VIBROPLEX Morse Code keys. The standard in Amateur Radio. 29 different models. Made in USA. 2019 is our 114th year in business. BENCHER Morse Code keys and accessories. 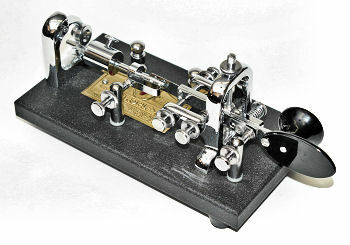 The Bencher BY-1 is the best selling iambic paddle in ham radio. Iambic and single lever paddles, hand keys, YA-1 low pass filter. INTERNATIONAL RADIO ("INRAD") known since the 1980's for aftermarket and OEM crystal filters for receivers and transceivers from the 1950's to present, now introduces a great new line of microphones and related products for ham radio. Come have a look! 4O3A SIGNATURE products are sophisticated high-performance antenna switches, bandpass filters, station and rotator controllers all usable via LAN for local or remote operation, or manually controlled. Vibroplex is the exclusive USA/Canada distributor. SPIDERBEAM portable and HD wire yagi antennas featuring full-size elements for maximum performance. Collapsible aluminum and fiberglass support masts and poles. EASY-ROTOR-CONTROL software and hardware packages for point-and-click USB of most Amateur Radio rotators. Use stand-alone or interfaced to logging or rig control programs. Vibroplex is the exclusive USA/Canada distributor. DX COVERS are high quality embroidered leatherette and felt covers available for almost any piece of Amateur Radio equipment. 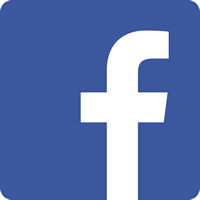 Stock for current models and custom orders for obsolete equipment. Made in Great Britain. DXPATROL is a wideband HF/VHF/UHF DSP receiver measuring just 2 x 1.75 inches covering 100 kHz - 2000 MHz. An amazing array of uses for this little gem, priced at only $99.95. Vibroplex is the exclusive USA distributor. W7FG VINTAGE MANUALS - 17,000 titles for hard to find or out of print documentation for vintage radio, audio, military and other electronics equipment.